Fort Lauderdale, Florida, will be the first stop on the FIVB Beach Major Series tour for the second straight year. The Major Series also includes stops in Vienna and Gstaad and the World Tour Championships in Hamburg. The fifth edition of the Major Series kicks of Feb. 5-10 on continues throughout the summer. 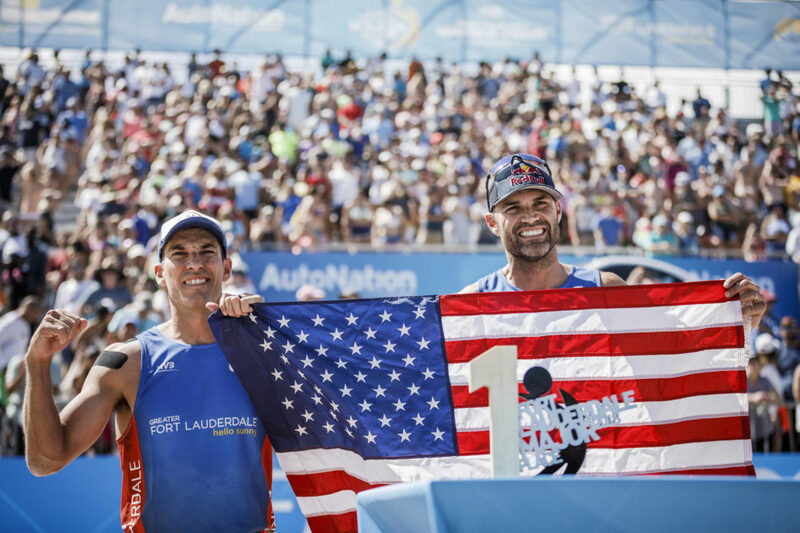 In 2018, Fort Lauderdale watched as hometown stars Phil Dalhausser and Nick Lucena topped the podium alongside Brazil’s Barbara Seixas de Freitas and Fernanda Alves. 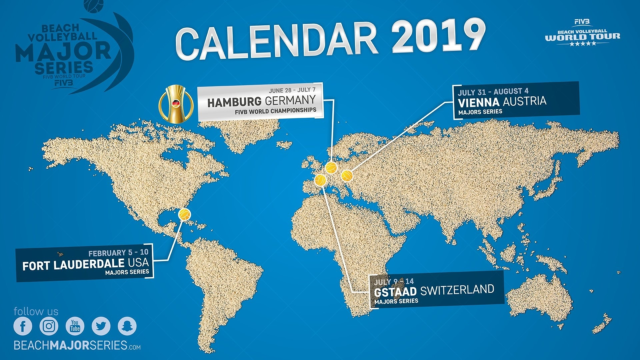 Next up on the slate is the World Championships from June 28 to July 7 at Rothenbaum Stadium in Hamburg, Germany, the site of the last two World Tour Finals. The 48-team event will bring the elite of the world to the tournament, where an automatic berth to the 2020 Tokyo Olympics is on the line. The mountain scene of Gstaad, Switzerland, awaits in July, with the coveted golden cowbells on the line. The final stop of 2019 is Danube Island in Vienna, Austria, home of the 2017 World Championships. The Beach Majors Series crowned four different women’s champions and two different men’s gold medalists. Norway’s outstanding young duo of Anders Mol/Christian Sorum took the title in Gstaad, Vienna and also at the World Tour Finals in Hamburg.